Now that it's August, doesn't it feel a bit like it's all downhill from here to Christmas?? Seems bizarre but it does to me and I've started some preparations to avoid the craziness that comes with October, November and December... What's your strategy? This wee crochet bag was such a fun and happy project to work on for another little birthday girl. 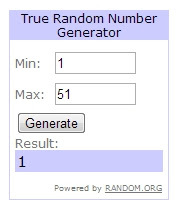 For August we have a wonderful new giveaway sponsor, yay! 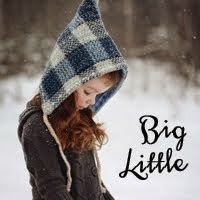 Lisa from Big Little has offered one of her patterns as our giveaway prize this month. 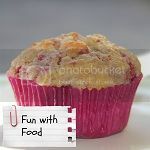 If you're not familiar with her amazing goodies - head on over and check it out! They are stunning creations and if you link up during the month you'll go in the draw to win one of her patterns! So go on and link away! Looking forward to being inspired by your awesomeness! Double size and gorgeous! (It's much more "blue" and vibrant than the photo's suggest!) May be the backing for H's quilt when I get there one day or something else perhaps?! I'm sure you are getting the idea of why I was so freeking excited about these finds - all in one day! Joining in with awesome Max. Welcome back to July's final edition of Show & Tell. The months just keep storming by! This wee ballerina was made back in April. For a girly birthday girl who loves to dance. The ballerina was from Tilda's Fairy Tale Wonderland and very enjoyable to make. Lots of little details and my girls loved her and of course want their own.... one-day! Today is the last day to link up to be in the draw to win July's giveaway: Stich Zakka. A gorgeous book filled with lovely sewing and stitching projects and some embroidery cottons too. 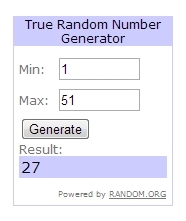 Linky closes next Wednesday and winner announced on Thursday! Thanks for stopping in - you guys are the bestest! Looking forward to seeing your makings! I'm still slowly pottering on putting together and making more blocks for the Modern Sampler Bee Blocks from last year. I have one more block to make before I can put them all together to make a quilt for my big pink loving girl - whoohoo! As such I have been keeping a very keen eye out for a lovely pinkish sheet to be the backing... but no luck, no luck, no luck, until the other week...! Two days later I on a whim popped into the local Sally store and I just about pee'd my pants when I found these! Perfect! They're single/king single size flat sheets. One a bit more worn than the other but overall in fantastic shape. I am still slightly giddy that I finally not only found the type of sheets I've been looking for forever, but that it was perfect for the quilt! There were a few other items in this haul that added to the extreme excitement of the trip but I am saving those for the next couple of weeks! Joining in again! with marvelous Max. A little rocky number for today. My niece had a birthday a few months ago and like many little girls, she is right into fairies and princesses. Wanting to do something slightly different I settled on making her one of the cute little wonderland animals from Tilda's Fairy Tale Wonderland book. My girls decided which animal to make and chose the fabrics. Tiny can be a bit tricky! Especially turning pieces inside out! The end result was a cute little bunny that all the little girls loved. My girls have placed their orders so there may be more in future! July's giveaway is this gorgeous book filled with lovely Zakka inspired projects. The winner will also receive some embroidery cottons. All you have to do is link up during July to be in to win! Thank you for stopping by today and I cant wait to see what big or small creations you've been working on! Yay yay - my first op-shop show off!! I regularly run into the odd op-shop in the area - hoping desperately to find the odd gorgeous blanket or beautiful sheet. Just never happens. Until last week! I am likely to be very boring in the next few posts as I will be spreading my good fortune out and making it last for as long as possible. First up is this gorgeous sheet. Pretty pattern, nice and big (a queen size I think), soft, great condition. Love it! 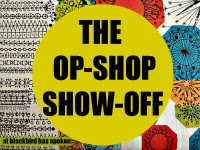 Linking up with delightful Max for the first time for the Op-Shop Show-Off! Who's ready for school holidays? Meee! Looking forward to having my kidlets home and getting into some rock painting and kids craft. Do you have any particular holiday crafts ready? A few months ago these two hearts were made. The first one for a special little girl as a series of hearts sent to support, encourage and love. And then this one for Hubbie's grandmother for Mother's day. The flower/rose and leaves were from Attic 24. This gorgeous book is up for grabs as the July giveaway. It is filled with delicious projects and ideas - don't you just love Zakka design? (I am dead keen for a copy of this book - seriously cute!) All you have to do is link up during July to be in to win! The winner will receive some yummy embroidery cottons. What lovely things have you been making or working on? Anything goes! Lets encourage and inspire each other! And Zebra cupcakes for kindy. I wonder if I have to start thinking of another version of a Zebra cake for next year? For Mother's Day earlier this year, we gave my MIL this hoop. When we visit, she always tries to take an outline of the grandchildren's hands as a keepsake, a record, and something that she remembers from her childhood. So when thinking about gifts for mothers day this idea popped into my head - I'm pretty sure I've seen it done before, but was none-the-less pretty happy to have thought of it! Three little girls' hands outlined in their favourite colours - it was very well received, yay! I loved working on it and will have to make some time to do one for our family before they get much bigger! As for July's giveaway - I hope to be back very soon with a confirmed prize from another great shop. In the meantime link up and lets keep encouraging each other! Also make sure you pop over to the Matariki Crafting Linky - some great things being created there too! Thanks for dropping in Lovelies - have a fab rest of the week!